Tired of not being listened to? Want your voice and views respected? 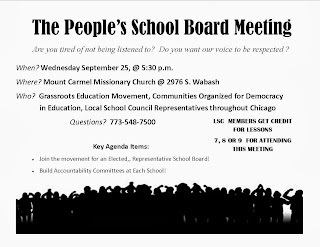 Come to the People's Board Meeting! GEM (Grassroots Education Movement), CODE (Communities Organized for Democracy in Education), and LSC reps from across the city. LSC members who attend get credit for lessons #7, 8, and 9. 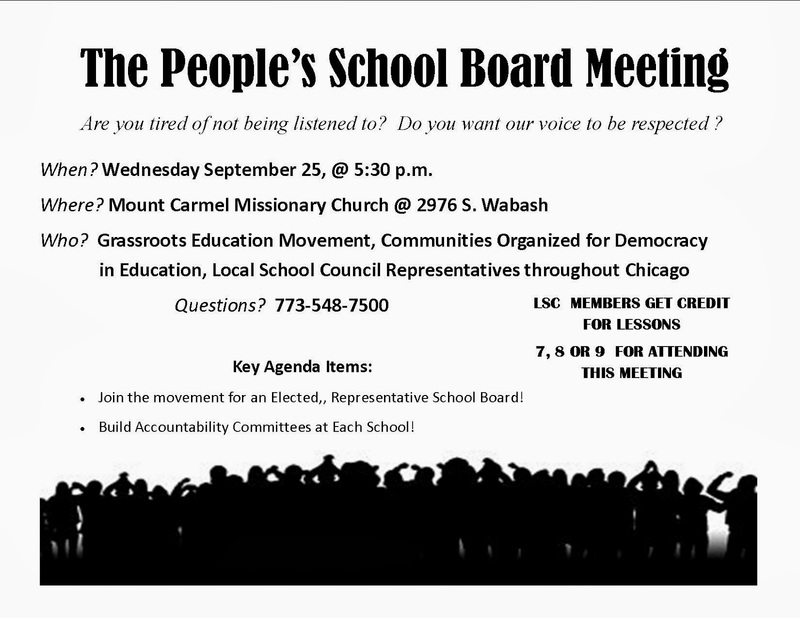 Sign up here if you want to attend with Teachers for Social Justice! !